Before I share my list, I want to impress this crucial thought upon you all: always remember who your website is for. That would be readers, in case you forgot. Your website is not primarily for other authors (though they certainly can be readers as well), or for publishers, or for anyone else, but for your readers. Always keep that in mind in what you write, share, and post. 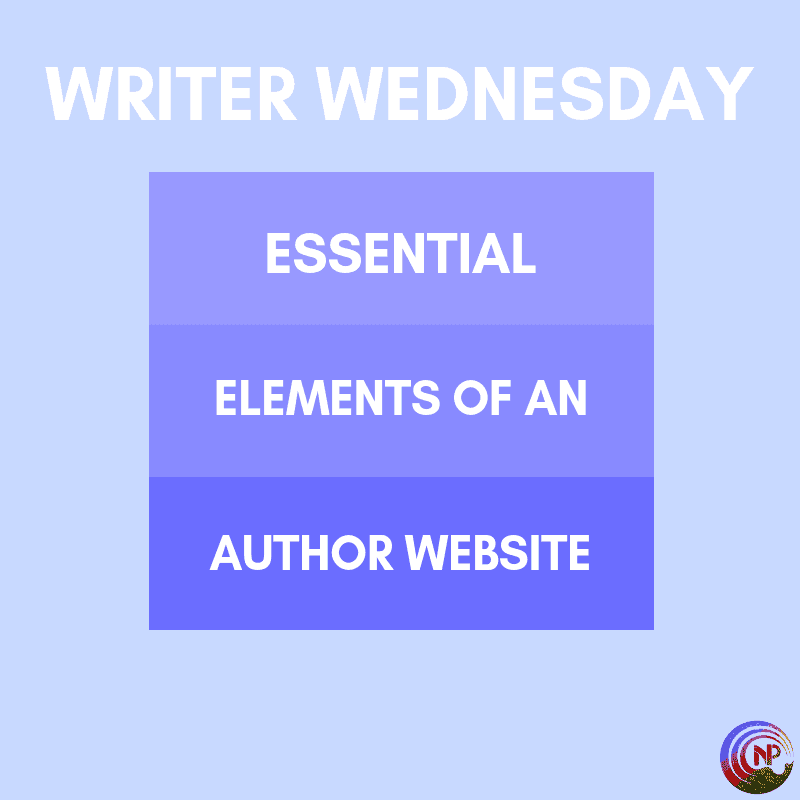 Okay, let’s look at the essential elements of an author website. This list is in random order, by the way, since all of these are essential, haha. Your author name needs to be present loud and clear on the homepage, so people can’t be confused as to whose site they’re on. This is not only helpful in case they misspelled a name and were looking for someone else, but also for name recognition. On average, people need to see something seven times before they buy, and to help them along, your name needs to be imprinted on their minds. On my site, my name is hard to miss. Your website needs to make clear what genre you write in. I sometimes come across authors (for instance on Facebook when they befriend me) and google them to check what they write. If I have to search through your entire website to find out, that’s not gonna happen. In my case, it’s s gay romance and that’s immediately clear from the homepage. You always need an About page where you share a little more about yourself. This can be as short or long as you want, but my advice is to at least make it relatable and personal enough so readers can connect with you. On many website, the About page is the second most visited page after the Home page, so pay attention to this one. It’s basically your business card, your first/second impression. You’re an author, so your books are super important and should be easy to find for readers. Remember what I said earlier? Always keep the rule of seven in mind: readers on average need to see your name and books seven times before they’ll buy. Consider your books-page another element in that chain of seven. Always link to your sales channels (eg Amazon) to make it as easy as possible to buy. The more trouble people have to go through to buy, the less likely they’ll make that sale. If you’re not displaying a prominent sign up to your newsletter on your site, you’re missing a great chance to “catch” new readers. readers who google you may not know you, may not be connected with you through social media yet, so if you can entice them to sign up for your newsletter, you just made a big step in reeling them in. Make it as easy as possible for readers to find and follow you on social media by displaying pictograms that link to your social media accounts, or list them somewhere where they’re easy to find. All my social media links are on my sidebar at the top. Aside from that, I display both my Twitter feed and my Facebook page in a sidebar on my homepage, and mention the links again in my About info. Anything I can do to get readers to make that first step and connect with me. Other authors also list their email address, but I personally don’t do that because it’s a magnet for spam. If readers want to connect with me, they can easily do that through social media. If you want readers to keep visiting your website, you’ll have to give them a reason to come back for. That means doing regular updates with news that readers would find interesting. Think of teasers, cover reveals, new releases, visual inspiration, announcements of new projects you’re working on, sales, anything. Most of these you’ll cross post on social media, but that’s fine. We all know people don’t see everything on social media anyway (thank you, Facebook algorithm), but not all readers are on social media in the first place, and even if they are and did see it, repetition is your friend. Rule of seven, I’m just saying. Now, I’m sure you can think of a few things that are not on this list and maybe wonder if these shouldn’t be included in the essential elements of an author website. A blog comes to mind. If you like blogging (which I do…I used to be a (paid) blogger and non-fiction author before I became a fiction author) and you have the time and plenty of ideas to write about, by all means, blog. It’s a wonderful way to keep your website updated and to connect with readers. But that’s a lot of if’s, and if you don’t have any experience with blogging, the time investment in learning it may not be worth it. One element I didn’t list because it’s not exactly essential, but that does very well for me (it’s my second-most visited page actually, after my homepage), is my “Works in Progress” page. I update this every week and it shows what I’m working on and which book will come out first. Readers love to keep track of my progress, I discovered! There’s a lot more you can do with your author website, but I’ll leave you with one challenge. You may remember that in the first post, when we talked about the why of an author website, I explained that my goal is to make readers know their way to my website in case I ever lose my social media. 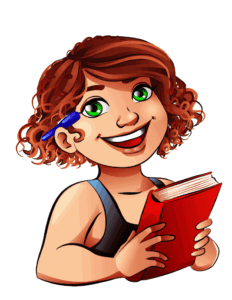 But to draw readers to an author website consistently, you have to offer something to keep drawing them in. You have to offer something special. Some authors do this by sharing exclusive teasers and excerpts. Others do giveaways, share personal stories they don’t share elsewhere, let readers vote or weigh in on plot lines, etc. I’ve seen authors who do serials on their website or who share exclusive fan-fiction. There are many, many things, but you have to find something that fits your brand, your style, your genre, and your website. And this circles back to what I said in the beginning: it’s all about your readers. What can you offer them to excites them so much they’ll be back for more? Okay, that’s it for this week. I hope this was useful, and if you have any questions, hit me up! This is great, thank you. I feel love I should be taking notes. You’re super welcome! If you have any suggestions for topics, let me know!